With increasing morbidity and mortality, acute myocardial infarction (AMI) has become one of the major causes of human death, leading to heavy burdens to individuals, families and society. Previous researches have found that though large amount of resources and great effort were devoted, no significant improvements were achieved in reducing the in-hospital mortality of AMI patients. 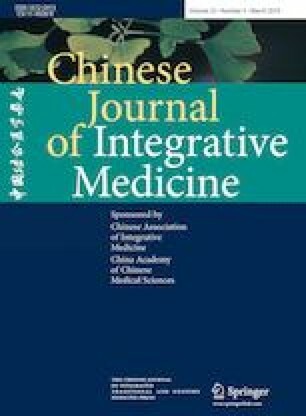 Meanwhile, extensive studies about Chinese medicine (CM) have found that CM has special advantages in treating AMI patients. However, there is no standardized and unified clinical practice guideline (CPG) of CM for AMI. Therefore, a CPG with strict standard and generally acknowledgement is urgent to be established. This guideline was developed following the methodological process established by the World Health Organization Handbook for Guideline Development. Extensive search on clinical evidences including systematic review (SR), randomized controlled trial (RCT), observational study and case reports was launched, covering evidence of CM for AMI on several aspects, such as diagnosis, CM patterns, CM interventions on AMI and complications, cardiac rehabilitation and clinical pathway management. Besides, the application of Grading of Recommendations Assessment, Development and Evaluation (GRADE) approach enabled the evaluation of evidence and formulation of grade of recommendation (GOR) and level of evidence (LOE). With the help of GOR and LOE, this CPG recommends the integrative CM and WM treatment method in AMI patients and provides useful information on medical decision for clinical physicians. World Health Organization. WHO handbook for guideline development. (2012-07-03) [2018-01-19]. Available at: https://doi.org/apps.who.int/iris/handle/10665/75146.